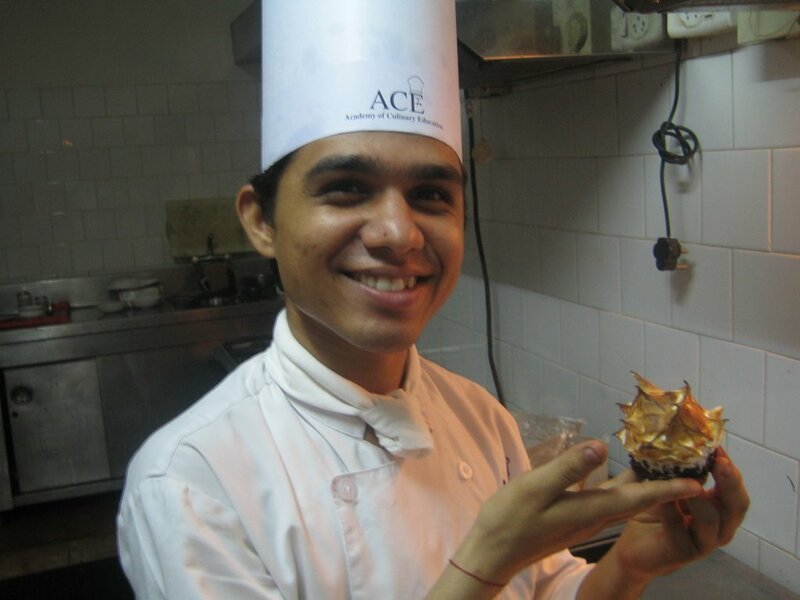 We have been working on a lot of frozen desserts and chocolate desserts at ACE and Cidade de Goa. While studying chocolate, the students at ACE were interested in the way that the Aztecs and Mayans first consumed chocolate as a beverage with cilies and spice. 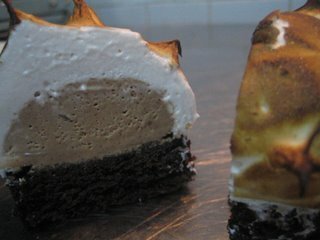 We made a baked Alaska with chile flavored chocolate on a chocolate cake covered with cinnamon meringue. The chocolate used in India is very sweet. I wanted to introduce the students to a more bitter, pure chocolate flavor to use for our creation. I brought some chocolates from San Francisco to Goa for the purpose of holding chocolate tastings for Indian chefs, culinary students and gastronomic enthusiasts. I brought mostly plain dark chocolate and a few flavored chocolates like chocolate and chile pepper, chocolate with coffee and cocoa nibs, and chocolate flavored with absinthe. 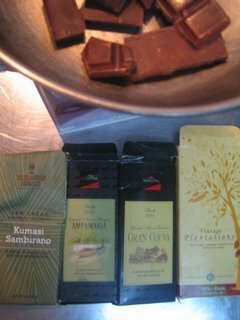 I brought Scharffen Berger Jamaica ā l'ancienne and 68% Cacao Kumasi Sambirano chocolate bars, some estate grown, vintage Valhrona chocolates, some chocolate I picked up in Paris, and a few more kilos of different types of chocolate. We used a combination of some of these chocolates for our Baked Aztec. We came up with a few different names for this creation that was modeled after something I once made that was called the Taj Mahal. 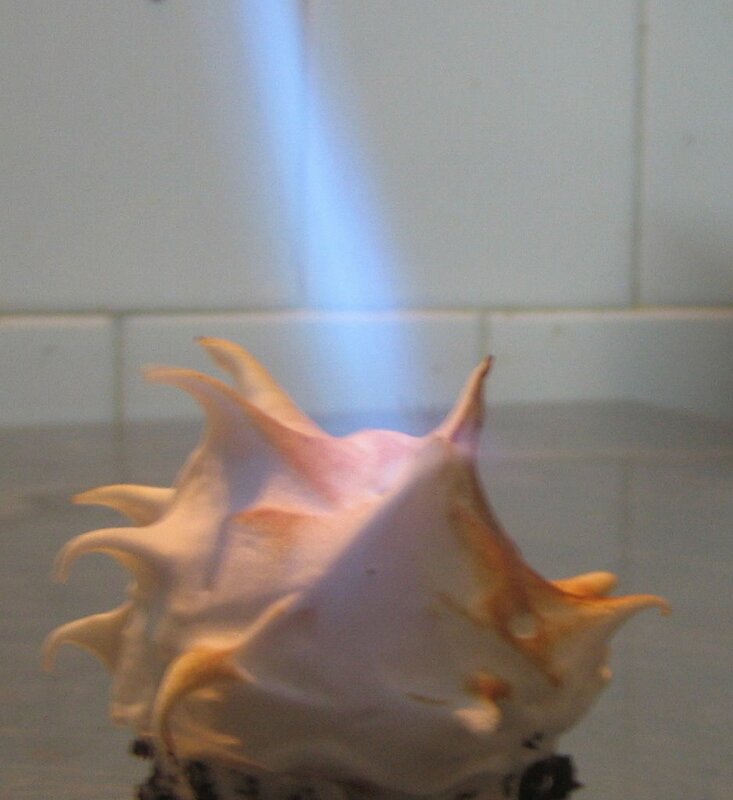 We finally came up with Snow Flower. tune: Snow Flower by Ananda Shankar from his 1971 self titled album.